Tatiana holds Ph.D. in Economics; she is an Associate Professor, Department of Finance at the State Academy of Statistics, Accounting and Auditing of the State Statistics Service of Ukraine and a Member of Ukrainian Association of International Economists. She is also a Senior Expert at the Institute for International Business Development (IIBD), specializing in business development and finance, intellectual property rights protection, external resources management. Tatiana graduated from the faculty of Economics and Management of Kyiv National Economic University named after Vadym Hetman, and received a Master Degree in Economics (Project Management and Consulting). She was upskilled at Internship programs at Brown University (USA), London Centre of International Economics and Management (UK), TACIS Agency for the Development of Enterprises. She taught at the Higher School of Business (Poland). She has substantial experience in the field of business and financial planning, investment projects and business planning, financial and economic analysis, marketing analysis, business development and consulting. As a consultant and expert she participated in numerous projects and programs of international organizations (EU, UNDP, World Bank, USAID, the Know-How Foundation, etc. ), implemented a number of analytical projects with experts from Germany, the UK, the Netherlands, Austria, Poland. Tatiana has joined the IPR Group team in 2000 and works as an expert to render consultancy with respect to licensing and franchising, and in 2015 become a Head of the IPR Group Licensing Department. 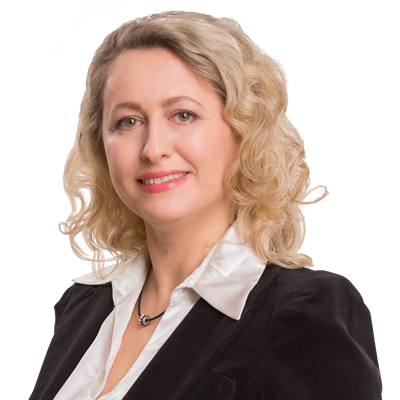 Tatiana provides advice and assistance on licensing and registration of assignments, national and international trademark filing, prosecution and opposition proceedings, trademark infringement matters, protection of copyright and geographical indications and other. She deals with national and international clients and companies on IP matters in the CIS area: Russia, Ukraine, Belarus, Georgia, Armenia, Azerbaijan, Kazakhstan, Kyrgyzstan, Tajikistan, Turkmenistan, Uzbekistan and Moldova. Tatiana published more than 50 articles, monographs and textbooks on the issues related to international economic relations and finance, technical assistance and development of small and medium businesses, intellectual property protection issues.